Editor’s welcome to the April issue – on sale today! Appropriately suited and booted... Editor David Pugh welcomes you to the latest issue of Practical Boat Owner magazine. We like to call it winter maintenance, but for many of us spring panic would be closer to the truth. Somehow the combination of cold, wet weather and, perhaps, domestic pressure to get on with the jobs one puts off all summer while going sailing, conspires to leave the boat gathering moss until the snowdrops remind us that the sailing season is just around the corner. That’s certainly the case with Red Dragon. 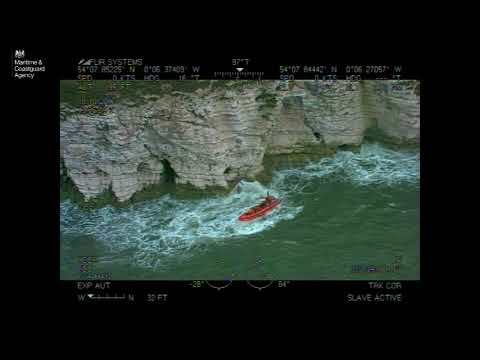 I’m lucky in that co-owning the boat with my brother means that the work is at least shared, but despite having had two years out of the water in 2014-15, there still seems to be a huge amount to do. After our refit the cabin floor is looking decidedly shabby, we’ve concluded that we need to do something a bit cleverer with the fuel filler, we’re changing the standing rigging and, worst of all, the engine needs rebuilding after it locked up last year when the coolant opted to join the oil in the sump. It seems the head may have cracked: the only good news is that we have a spare. All this needs to be done before we can antifoul and get sailing again. Which brings me to the point. You’ll find in this month’s issue a short guide to using the correct PPE for abrading and applying antifouling. Looking like a spaceman may not be some people’s idea of the roughty-toughty ancient mariner, but precautions are well worth taking. The effects of limited but regular exposure to poisons may only become apparent in the long term and can often be cumulative: one theory goes that Napoleon died from the toxic build-up of arsenic in his system from his prison’s green wallpaper, while upwards of 5,000 UK families today are dealing with the effects of one of their number being exposed to asbestos. In both these examples the sufferers were unaware of the risks at the time, but we know that antifouling is nasty stuff, so why take the chance? The active ingredient of most paints, copper, is known to cause liver failure and decreased lung function with prolonged exposure, neither of which are a pleasant way to go. The other reason for following the rules is to preserve our liberty to use these products. The EU’s Biocidal Product Directive (BPD) requires the UK to revisit its authorisations on the active ingredients, which could result in fewer products being available for DIY use. I’ve experienced this first-hand – a few years ago, International Paint developed Micron WA, a water-based, water-activated antifouling which we tested in an attempt to be able to time a product report with the paint’s launch to the DIY market. It gave Red Dragon the best protection she’s ever had, but the product is still only approved for professional use. In many ways it’s much more pleasant and safer to use than solvent-based paint, but logic does not necessarily play a part. The official line (and don’t kid yourself that it’ll change after Brexit) is that DIYers are idiots who need to be protected from themselves. The current evidence points to this stricture being one that’s more appropriate to today’s politicians than PBO readers, but that’s perhaps a soapbox best avoided. So I’m resolved to be good this year and re-antifoul while fully suited and booted. Charles Warlow, one of our retired contributors, writes this month of having circumnavigated Britain twice and considering a third attempt: I’d like to be able to do the same in my retirement, without serious health issues or having to drag the hanging gardens of Babylon along beneath the hull. 2017 MARINA PRICE GUIDE: Your guide to annual berthing prices, facilities and services for 272 coastal marinas around the UK, Channel Islands, Shetland Islands and the Republic of Ireland. In association with Navionics. PBO Boat Test – Viko 21 trailer-sailer: Costing from just £23,000, what does the Viko 21 offer apart from economy? Editor’s welcome to the December issue – on sale today! Here’s to a learning environment. 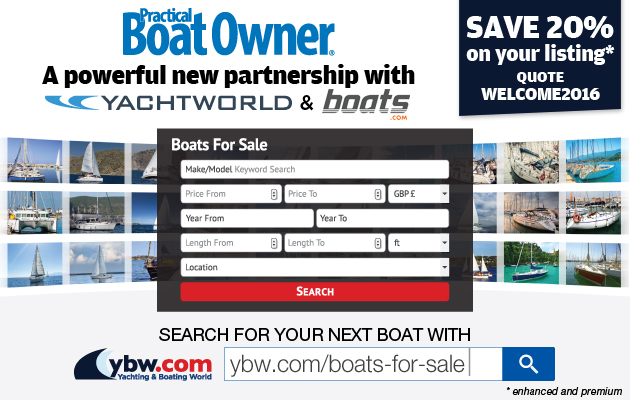 Editor David Pugh welcomes you to the latest issue of Practical Boat Owner magazine.